for $279,500 with 4 bedrooms and 1 full bath, 1 three quarter bath, 1 half bath. This 2,745 square foot home was built in 1992 on a lot size of 81x222. Large lot in desirable neighborhood on the edge of Winona! Beautifully terraced perennial gardens in the backyard with a gazebo to relax with your morning coffee and enjoy the views of the bluffs and valley. 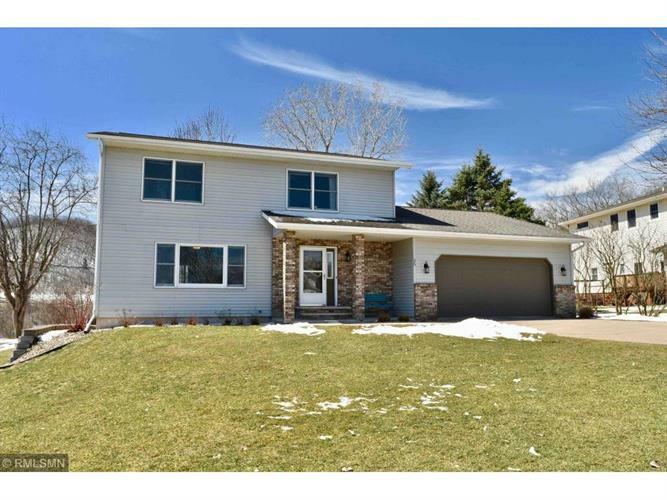 This lovely 2 story home features 4 bedrooms on one level, 3 bathrooms, a lower level finished family room and a main level den/office. The home has a wonderful open concept on the main level with hardwood floors and ceramic tile. The spacious kitchen has updated cabinets and has sliding patio doors leading to a large deck with a fireplace/grill. Everything you need for outdoor entertaining!